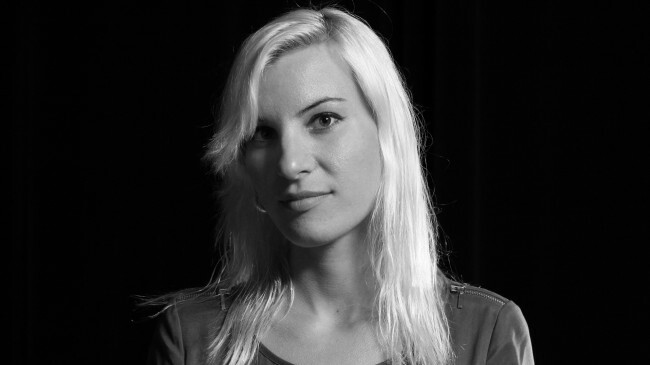 Lauren Fenton is a media artist and scholar exploring the speculative aesthetics of expanded cinema, tangible interactive, sensate computational networks, interactive architecture, and the future of attractions. !Her artistic practice merges and explores a variety of different media. Her recent works include Polyangylene, a kinetic sculpture of found objects animated by projection mapping, and The Book of Luna, (created in collaboration with Clea T. Waite), a multimedia cabinet of curiosities with pocket-sized projections and a miniature Pepper’s Ghost effect. 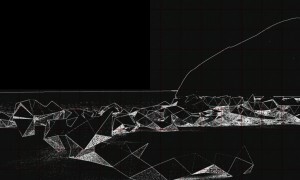 Other works include a database narrative experienced through a body-scale, tangible interface (The Interactive GeoSurface Map, in collaboration with the Center for Land Use Interpretation and Onomy Labs), stereoscopic animations of speculative nanotechnological creatures projected onto architecture (Nano Flow), an experimental Flash game that critically engage cinematic montage, affect and remix (Cinema Detour, workshopped at the University of Chicago), an interactive video installation controlled by a textile interface (Almost Everything Can and Shall Be Cut) and electronic art-toys like the Inflatable Synthesizer, an Arduino-powered haptic and musical experience that takes the form of a series of playful inflatable chairs. Lauren’s Ph.D. research investigates the collapse of the barriers between materiality and the virtual in the wake of emerging entertainment technologies. Drawing on scholarship around the cinema of attractions and special effects, cultural histories of scientific instruments, media archeology, science and technology studies, game design, and art history, Lauren’s critical writing focuses on investigating the philosophical relationship between information, form and wonder in the context the emergence of sensate devices and the digital transformation of the built environment.